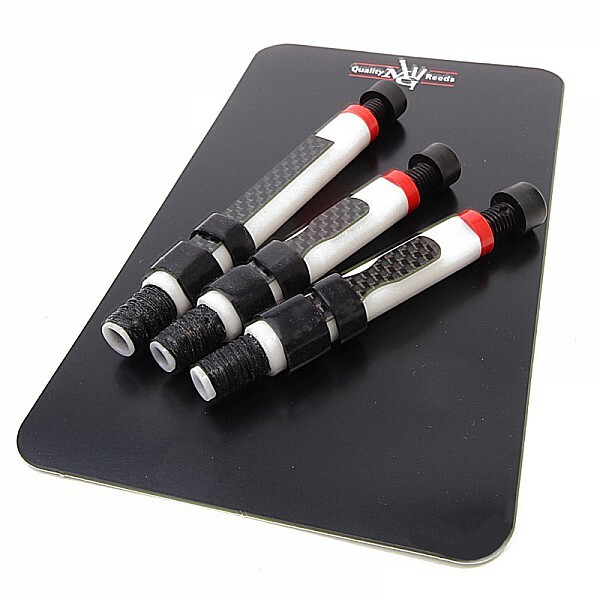 NEW - MG White Carbon Drone Reeds. Also referred to as the "White Mambas". New to the market after a year of trials, the MG white mambas, as they have been nick named, are proven winners. The introduction of the unique paddle shaped tenor tongues to our bagpipe reeds, give improved stability and strike in. In comparison to the original carbons, they are a little livelier, however do not have the over buzz normally associated with carbon-tongued reeds.